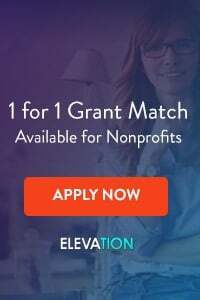 Non-profits spend lots of time trying to figure out who qualifies as a good fundraising prospect for their organization As your development team is looking for donors to make contact with and insert into your fundraising funnel, you don’t want to waste time. Who can you truly call a good “donor prospect?” Far too many organizations reply “everyone is a prospect” or “everyone with enough money is a prospect.” This is a mistake that costs non-profits valuable time and resources. Let’s be honest – your organization has limited resources. Every charitable organization does. You only have so many staff members, so much money and so much time in a day. 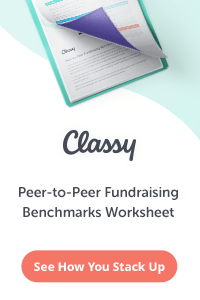 Figuring out which folks make good donor prospects and which don’t can help you fundraise more effectively and successfully. Nothing is more draining than constantly following m donor “hunches,” spending time tracking people down, only to fail to even get a first meeting. Does your non-profit have “donor profiles” set up? Do you know what types of donors are most likely to give to your organization? Take a look at your current donors and prospects… who are they? Where did they come from? What are their demographics (age, gender, location, industry, interests)? Do you see any patterns? Create a number of “donor profiles” for your organization. For example, you may run a non-profit that appeals primarily to older folks, people in the Jewish Community, or young professionals. Your donors may come mostly from your region, or may be spread out across the country (or the world). See if you can figure out what donors are most likely to give to your charity. Of course, just because most of your donors come from one age group or area doesn’t mean that all of your efforts should be focused there, so in addition to figuring out the trends among your current donors, spend some time thinking through which demographic and interest groups you think would or should be interested in giving to your organization and add those to your list. The key here is to think through your ideal donors to come up with a number of donor profiles that can help guide your efforts. In order to be a good donor prospect, the person has to have the capacity to give at the level that makes them worth pursuing. Obviously, you will gratefully accept any size gift. But tracking down and cultivating prospects takes time, so you want to make sure that those prospects you are spending time and money to reach can give at a relatively significant level. This level will vary by organization. Bear in mind that just because someone lacks major donor capacity doesn’t mean you should write them off. They may be a great prospect for a “minor donor program,” an event, direct mail, etc. But you want to be clear before putting someone into your personal cultivation funnel that they have the capacity to give at a mid donor or major donor level, because your larger donor prospects will receive an outsized portion of cultivation and relationship-building to go along with their outsized gifts to your non-profit. Don’t write people off too easily. While you don’t want to put folks in your major donor funnel who don’t have major donor capacity, you do want to think through all of the possibilities… for example, if someone can’t give $10,000 as an annual gift, but could leave you $50,000 in their will, you may want to cultivate them as a major donor even though they don’t currently meet your basic threshold. Finally, and perhaps most overlooked by otherwise savvy non-profits is the fact that the prospect much be reachable by your organization. I’ve seen far too many non-profits throw around the names of major national or regional philanthropists or business owners that they will never be able to sit down with, and use the possibility of gifts from these unreachables to bolster the launch of a new program or campaign. 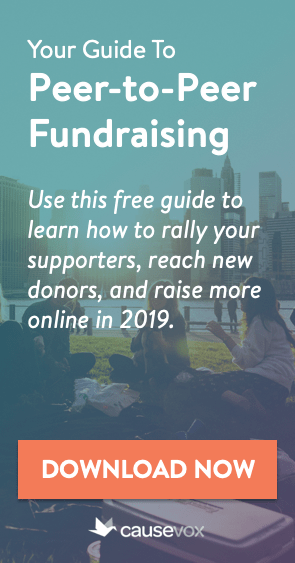 For example, I have seen small non-profits in the education space with no connection whatsoever to donors like Bill Gates and The Pew Charitable Trusts nonetheless launch fundraising campaigns with both of these listed as prospects for the campaign. I’m not saying you shouldn’t shoot for the stars. What I am saying is that you should be using the majority of your limited time and resources pursuing donor prospects that are reasonably reachable by your non-profit. I believe that in order for someone to be considered “reachable” by your organization, one of the following three situations must be true: the person must either already know your organization, or the person must know someone who already knows your organization, or the person must have a strong and demonstrated affinity for both your cause and your approach to your cause. If you are relying on the third case to declare someone as a “reachable,” you should also have at least one person in your fundraising orbit that is capable of reaching someone who is remotely in the prospect’s orbit (e.g. your non-profit should be no more than two steps removed from the prospect). Finding new prospects for your fundraising funnel is hard work… don’t waste time on those who are unlikely to give. Use the three criteria above to figure out who qualifies as a strong prospect for your non-profit.